Burnaby, BC – When it comes to writing about motorized wheelchairs it is usually that they belong on the sidewalk with other pedestrians and not on the roads with the other vehicles. Less often it is that they don’t need licence plates or insurance when operated by someone with a disability. Who would have thought that it might be about driving into and killing another pedestrian on the sidewalk? It happened in Burnaby two days ago. These machines are a boon to those of us whose mobility is challenged and are capable of moving their occupant at significant speeds, often more than twice the walking pace of an adult. Clearly, they are dangerous when misused or used carelessly. With that in mind, the province indicated to Union of BC Municipalities in 2013 that it intends to develop a coordinated plan for safe operation of motorized scooters, including possible amendments to the Motor Vehicle Act. The provincial coroner also issued recommendations supporting scooter regulation in 2008 after several scooter-riding seniors died in crashes with vehicles. Currently, driving powered wheelchairs amounts to the same thing as walking. There are no rules about what side of the sidewalk to use, how fast to go or penalties for misbehaviour except perhaps assault or criminal negligence under the Criminal Code. Perhaps this is the way it should be as the wheelchairs are not motor vehicles according to law. Should motorized wheelchairs be regulated by ICBC? An informal poll on the Global News web site recorded 236 votes for and 33 votes against the idea this evening. Ultimately, your answer to this question is probably determined by whether you see a person with a mobility aid or a driver in a motor vehicle. The author is a retired constable with many years of traffic law enforcement experience. To comment or learn more, please visit drivesmartbc.ca. DriveSmart – How Do We Define A Bad Driver? 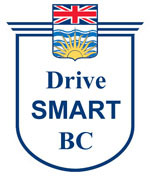 Be the first to comment on "Opinion – DriveSmart BC – Powered Wheelchairs And Sidewalk Safety"